Our hotel in Saint Petersburg. close-up look at St. Basil's; regretting not buying a 15-piece matryoshka doll in Moscow. go way too quickly on the train. coins. That is how badly they need the money. the church; cows 'moo'ing; the absence of cars honking (yes, I can now hear the absence of this). Pushkin Museum of Fine Arts; older women begging for money. Street Food: Ice cream; potatoes; savory pastries; apples; popcorn. stuffed eagles; fur hats; stuffed squirrels on sticks. 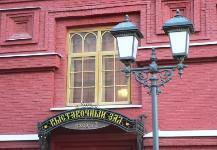 Moscow); the cleanliness; how manageable it is to get around; how easy it is to read Russian. every designer store; Hard Rock Cafe. 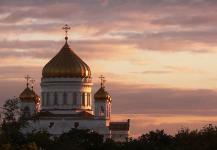 Russian consulates and embassies, I finally emerged successful in New Delhi, India. Type of currency? Russian Rubles. Approximately 27 equal $1 US. bowls; things with Soviet emblems on them. 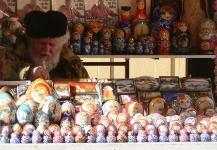 Lots of Russian doll souvenirs.